Today, Anthony Bourdain died by suicide. A few days ago, Kate Spade did as well. Those who had even a passing familiarity with them knew they lived rich, passionate, vibrant lives. The outpouring of grief and shock on social media and in the news has shown just how much they meant to people. To see those lives cut short is deeply tragic, as it is when anyone chooses suicide over staying alive. What could they possibly have to be depressed about? This is a question we want to address here. It’s easy to believe that fame, professional success, wealth, or adoration can protect people from pain, but that is not true. Addiction doesn’t discriminate. 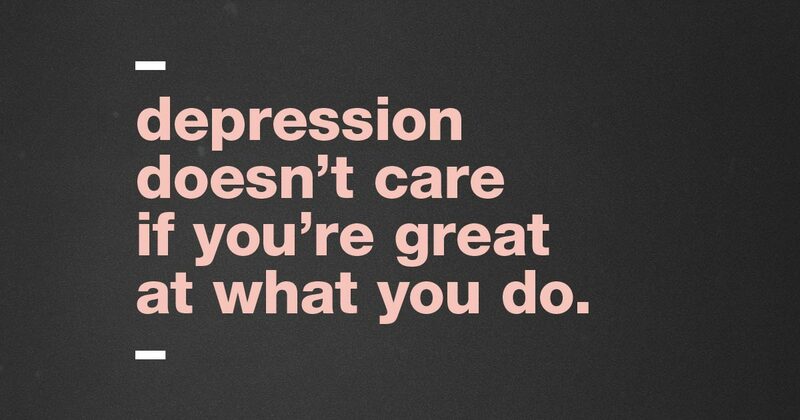 Depression doesn’t care if you’re great at what you do. Mental illness doesn’t just affect those without opportunities and privilege and resources. 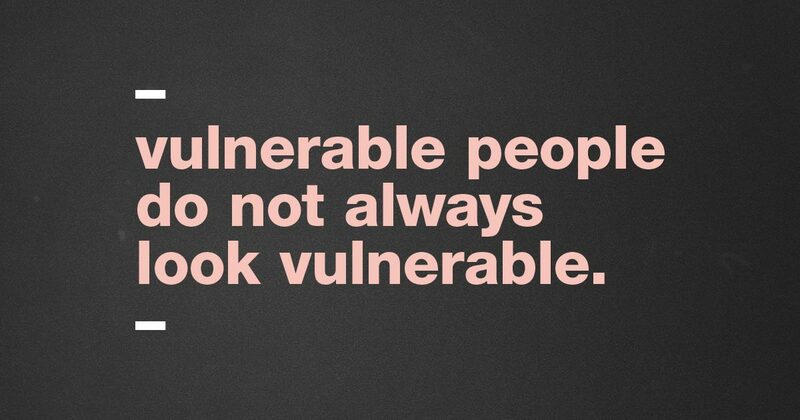 Vulnerable people do not always look vulnerable. This past week has been a horrible reminder of that uncomfortable truth. It is not an easy thing to do, but it is so important. We encourage people to ask for help, but sometimes they’re waiting for others to do the asking. We encourage you to step back, look at the statistics, and realize that this may not actually be the case. Earlier this week, the Centers for Disease Control released a report that showed suicide rates are rising across the United States. Suicide is one of the top ten leading causes of death, and it is one of three that is rising instead of falling. This data is troubling and should encourage us to take action. It should inspire us to have daily, potentially life-saving conversations. It should compel us to talk more—about stigma, about the things we think we need to keep in the dark, about what hurts more than we’re letting on. Suicide is not a solution, but mental illness often portrays it as the only one. Depression is a very effective liar. It can convince you that the world does not need you here, that you are a burden, that there is no way you will overcome the pain you feel in this moment. But hope is defiant. Hope tells us the truth. The world needs you here. You will get through this moment. We need you here. We need you here now and for moments to come. You might look at the legacies left behind by Anthony Bourdain and Kate Spade and think that your presence can’t compare, but that is utterly untrue. Please believe us when we tell you your life and your story are just as important. Believe the people who love and care for you. Listen to hope. Hold on to it and never let go. I know someone that needs help. She is suicidal. Plz call me!! Please visit our Find Help page here: twloha.com/find-help or call the National Suicide Prevention Lifeline at 1-800-273-8255 for immediate assistance. We are grateful your friend has you to help her through this dark time. We hope she gets the help she needs and deserves. I have been there – sometimes it’s not so much depression per se in the usually sense, but a growing weariness of the worlds problems, and you are just so tired of nothing changing – more hurts, more pain. There is hope, but you do have pull away a bit. Detach from expectations, results, and the feeling that there is control. Take care of yourself. The world will still be here tomorrow, but you may not be, so hold loosely to dreams and plans, and do what needs to be done – mow the lawn, feed the cat, water the plants, hold the baby, open a can of soup. Do things slowly -put one foot in front of the other, and just go forward, there is no competition, no race. You will never please everybody, nor should you try. You can only absorb so much pain before you break. Turn off the news, and people are downers – go for a walk, pet a cat, look at flower, drink a cup of tea and really taste it. And just be present to the little moments that make life so very special. Walk away from the hustle and bustle and breathe. Enjoy your alone time, it can give you great strength to rejoin the world. Try Buddhism, it has helped me immensely. Please stay. I’m the same age as KS and have a young daughter like AB. I’ve lived with depression with suicidal ideation since my teens. this scares the crap out of me, At this age, making it this far,I’ve thought I’ve had a handle, even if tenuous, on it. The last 8 years I’ve held it together as best I can for my child. I get the urge, that I don’t want her to see me this way, but I’ve pushed on. I’m really scared now, if AB got to the point that even for your child, the pain is too great… I just don’t know. It can be so hard to see people we are familiar with and can relate to struggle with mental health and even die by suicide. It’s scary to see ourselves in their stories. But please remember that you have your own story, you have your own support system, and you have your own diagnosis. We hope that you will continue to fight and reach out for help when you even think you need. There are people, like our entire team here in Florida, that are rooting for you and want you to stay alive — for your daughter, but also for yourself. Thank you for commenting here. Thank you for your honesty and courage to speak about your struggles. We are inspired by you, and so grateful to have you with us. I am Student Assistance Counselor in a high school. A see the struggle every day! It is real. It is heart breaking. We are truly sorry to hear about the struggles you and your son are facing. Although we are not professionals, our best advice would be for you and your son to reach out for professional help. We list local resources here: twloha.com/find-help. It is difficult to know what is best for your son, but we know you care deeply for him and want him to get the help he needs. Please know that you can also email us at info@twloha.com if you would like to share more of your story. Our team is here. Thank you for writing on this very important crisis. Message is well done. A very good read. I’m in a difficult time in my life and would seemlingly have a reason to want to check out. Everyone, myself included, realize they have to much to live for regardless of circumstances. God put us here for a reason. I want to be able to use my suffering and difficult circumstances to help others to be able to overcome the same. My 11 year old daughter died by suicide in February. I had just relocated to a new state and am pregnant. This staggering loss has left me struggling mentally as to what I could have done differently. I only found out about it nearly 2 days later due to circumstances outside of my control. It weighs heavily on my heart to be bringing life into this world as I moarn the loss of another piece of me. I don’t write this to gain sympathy for me or circumstances that brought her to her choice but to show people who think that this is an easy out that your dession to “end your pain” effects people who love you and even people who might never know you but should have. My brother died by suicide. I can speak first hand about losing everything. I have only one friend. “Me,myself and I get along very well. I know over 3,000 people first and last names. I don’t worry about the future and bring humor to bad memories as quickly as They go. In addition to vulnerable people not always looking vulnerable, when their vulnerability is revealed they often become an easy target for those who want to blame, shame, attack and ridicule. I agree with the suggestion to talk more and to seek out others (FOR help or TO help). There is hope. Thank you for being a safe place to have these conversations. Thank You TWLOHA. Tony’s choice was extremely difficult for me. However I am grateful he is now at peace. I am currently struggling with a medical issue that is suprisingly scary to me. This has created and issue that has thrown me off balance mind, body and soul. I openly admit to thoughts of suicide. My wife, kids and countless acquaintances have been a tremendous help for me. I have such a great life and do not wish to die. Sometimes though the physical and mental pain is too much and there seems to be only one remedy. I strongly encourage those who know someone that is struggling to insert themselves into that persons struggles. They might resist, they might get mad but it will help them get through the moment and could give them the opportunity to reach out for help. They will be greatful. They will live another day. Love is magical. My wife has saved me today and she will again tomorrow. This is solely because I am open and honest. Because I have someone that is there for me. Someone that is willing to help and guide me to the abundance of resources available. Some people do not have the capacity to be completely honest with themselves and therefore with others. But please always remember the choice is ours and we can always be persuaded if we want to be especially if we are vulnerable. I Love You. God Bless You. I dont know any of you, but I want to tell you all I love you so so much. And the pain may be relevant now, but you will find something that will get you through the night. The sun will rise and we will always begin again. Thank you so much for reaching out for help. We would love to help you find some resources fit for you situation. If you would, send us an email at info@twloha.com and we would love to assist you. We want you to know that you are important. You are not your worst parts. You are so valuable, even if you can’t see it yourself. Your life is worth fighting for. Never forget that. We believe in you and we are rooting for you. If you’d like to send us a blog submission, you’re more than welcome to! Please send a 500-800 word document to blog@twloha.com. Fantastic site you have here but I was curious if you knew of any discussion boards that cover the same topics talked about here? I’d really love to be a part of online community where I can get comments from other knowledgeable individuals that share the same interest. If you have any suggestions, please let me know. Thanks!